According to Royal Diary, Earl will be in Finland from 2-6 while Countess 2-5. 2nd -4th February - Ed & Sophie will be together. While 5-6th February Edward will attend solo engagements. Not sure what was planned for Sophie, or there was a change in plans and she will simply return to UK on the 5th. Sophie will likely come back on the 5th February morning while Edward continues with more engagements. Unsure as to why Sophie is leaving sooner but she likely has other commitments. This is from the Court Circular for the 30th Janaury - they are already in Finland. This is not on the royal.gov.uk website. The Earl and Countess of Wessex this morning left Heathrow Airport, London, for Finland and later arrived at Helsinki-Vantaa Airport and were received by Her Majesty’s Ambassador to the Republic of Finland (Her Excellency Miss Sarah Price). 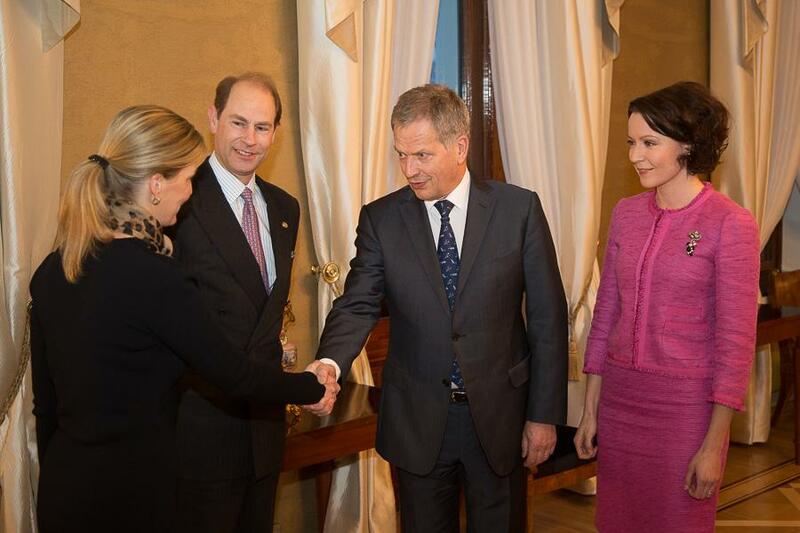 Their Royal Highnesses this afternoon called upon The President of the Republic of Finland at the Presidential Palace. 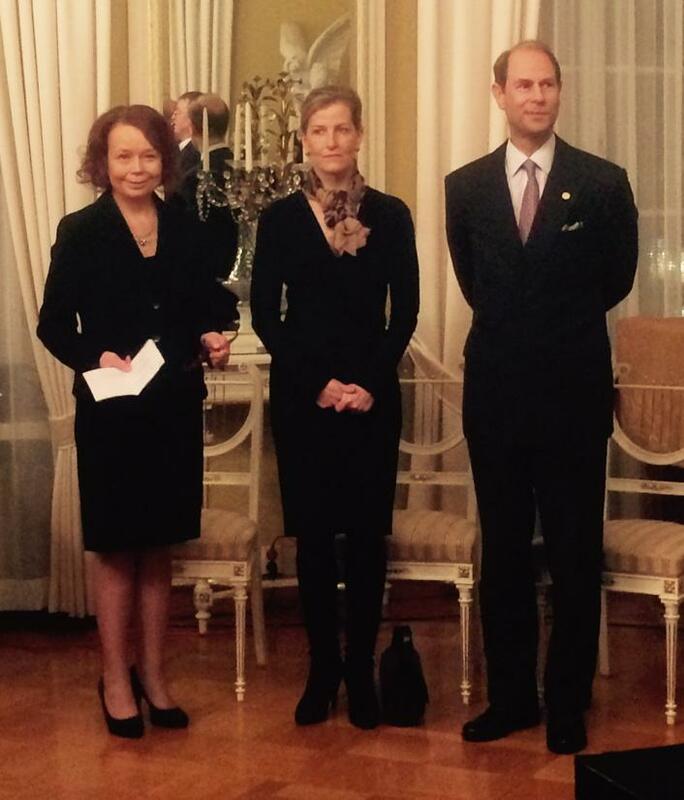 The Earl of Wessex, Trustee, and The Countess of Wessex, Global Ambassador, The Duke of Edinburgh’s International Award Foundation, later attended a Reception at the Government Banquet Hall, Elelaesplandadi, Helsinki. 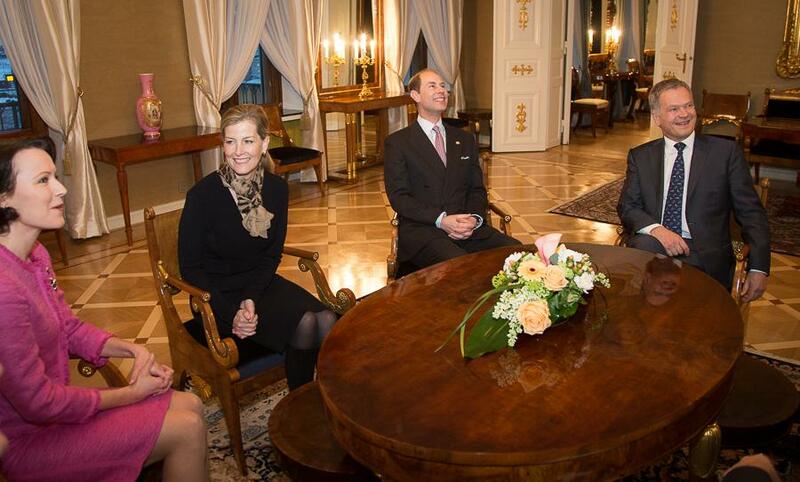 Their Royal Highnesses this evening attended a Dinner given by Her Majesty’s Ambassador at the Residence in Helsinki. That must be wrong information. The weekly program of the President of Finland is published on every Monday and there was no mention about that they would come already this week. The president's website is updated very well and there is no mention that he would have met Edward and Sophie. Published Court Circular from The Times. That's all I know. I've had another look and the announcement may have been posted too soon. Usually, the CC is in strict order of precedence but the event carried out by Princess Royal comes before that of the Wessexes - which is wrong. But the dates are the same. Most odd. Here is the entire day to show what I mean. The Prince of Wales this afternoon received Mr Serge Pun (Executive Chairman, Yoma Strategic Holdings Limited). The Princess Royal, Honorary Air Commodore, Royal Air Force Brize Norton, this morning attended 10 Squadron Centenary Parade and presented a new Squadron Standard, at Royal Air Force Brize Norton, Carterton, Oxfordshire. Definite error as Countess of Wessex was in France on 31st January. Posted on the current events thread. which will start at 17.30. 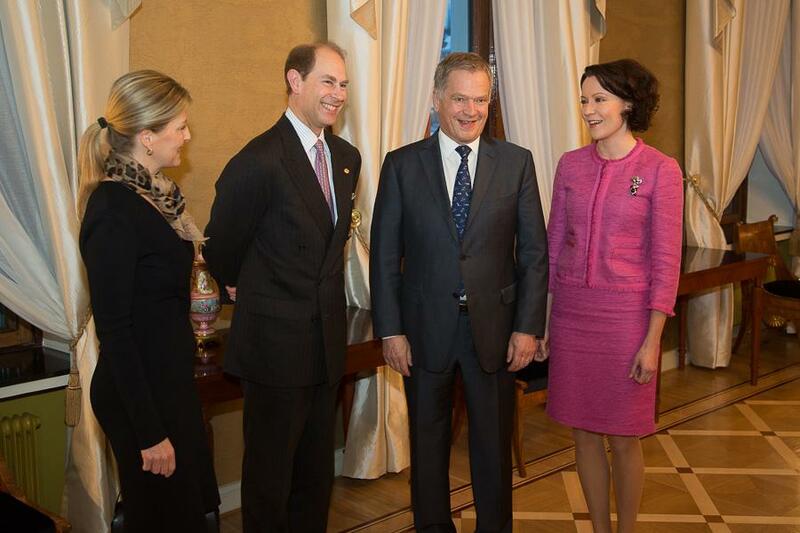 The Earl and Countess of Wessex met president Sauli Niinistö and his wife Jenni Haukio at the Presidential Palace, photos from the Twitter of the President of the Republic of Finland. 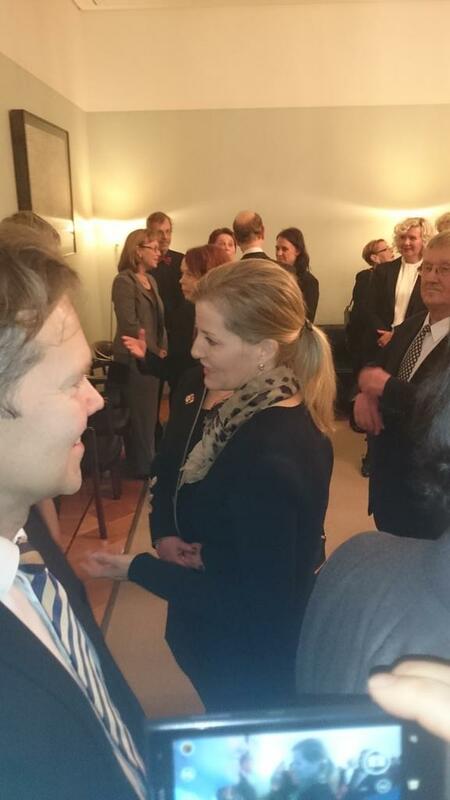 Iltasanomat writes that the meeting was relaxed. 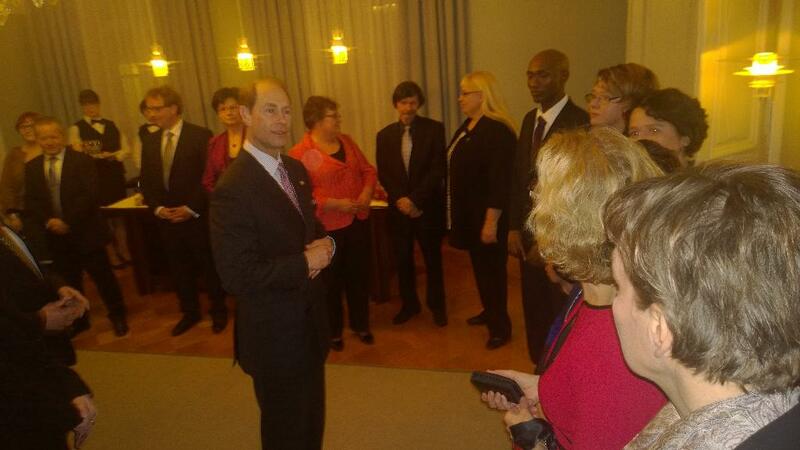 - It is a great honor and pleasure to meet you, Mrs. Jenni Haukio greeted the royals. 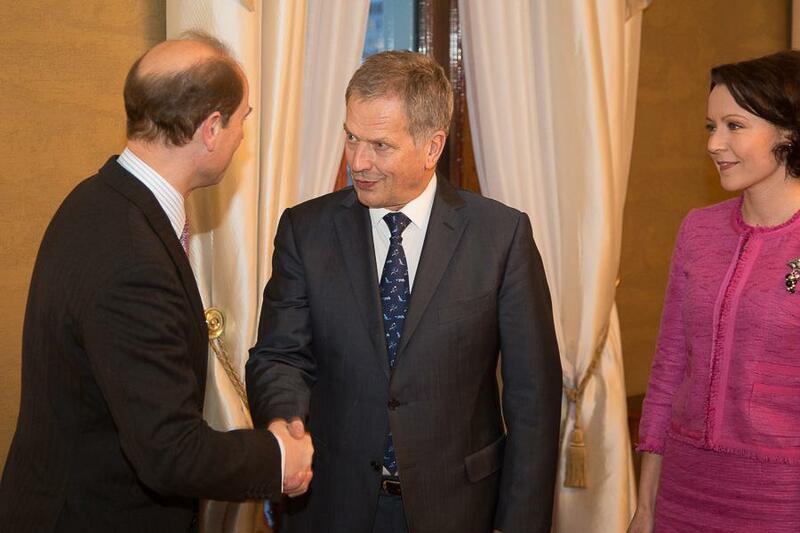 President Sauli Niinistö regretted the rainy weather of Helsinki. - We are used to all types of weather, Prince Edward said. After the greetings the President and his wife hosted the five o'clock tea. I used your translation LadyFinn, hope it's ok. I also hope we will see some pics from the evening dinner. All those flashes from the camera, I wouldn't be able to see anything! 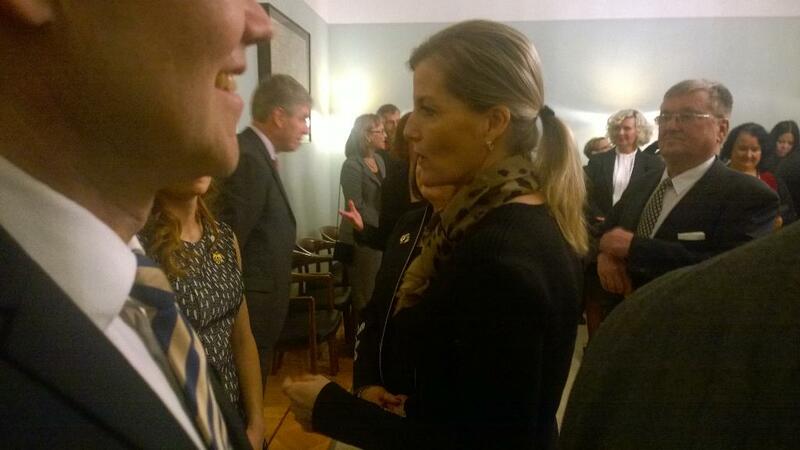 I like Sophie's dress and the scarf as I'm sure its cold in Finland. According to the official diary Edward and Sophie will have engagements in Kuusamo on wednesday but I haven't been able to find any specific info about the engagements. Journalist Rita Tainola in Iltasanomat on the other hands writes that the wednesday will be their off day. Any other information about this? So Tainola is wrong again, not a very big surprise though. Maybe she isn't wrong, maybe Wednesday is a press free day? I would think that the press has got the program of the visit. Maybe Edward and Sophie want the visit to the camp be relaxed without many reporters and photographers, just the organisers and embassy staff taking photos. That may be but it surely isn't leisure time for the Wessex couple. :) Propably a very nice activity but not free time.